Digital time and temperature control system allows cooking delicious individual dishes to your liking. And an extra searing burst mode will make you meat or Panini sandwich with a nice crispy crust only in 90 seconds. The unit is pretty heavy. Meanwhile, it is very steady. 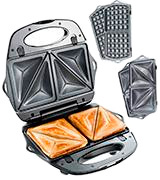 This fantastic 3-in-1 grill sandwich maker is available in Black and Platinum colors. 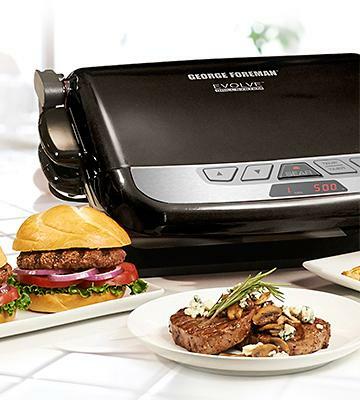 It will make appetizing sandwiches and become a key unit for a family breakfast, party, picnic or get-togethers.This amazing George Foreman machine will grill 5 portions of succulent roasted meat or even cook 2 dishes at once. A handy and easy-to-use sandwich maker at a reasonable price. Interchangeable plates are easily removed by means of cool-touch handles, significantly easing the unit cleaning and operation. Light indicators are a bit dim. An affordable 2-in-1 kitchen appliance will become an exceptional choice for toastie sealed sandwich lovers. Meanwhile, any time you may vary your breakfast menu with nice crispy waffles. 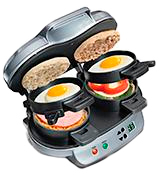 Beside making warm sandwiches with ham, cheese, French fries or crispy roasted bacon this sandwich maker allows frying eggs right inside your sandwich that will make your breakfast even more healthy and nutrient-rich. The working surface gets very hot, so, you need to use pot holders. Hamilton sandwich maker is an outstanding solution for any family that likes having sandwiches for breakfast. With several simple actions, you can enjoy 2 homemade delicious sandwiches in 5 minutes! High-quality non-stick plates coating will ensure perfect golden crust and prevent scorching, meanwhile making the unit cleanup a breeze. It's enough to simply wipe the plates with a damp cloth once they are cool. The white body is prone to stains. Simple and compact, the Proctor Silex sandwich maker will help you cook deliciously warm delicacies for the whole family in a matter of minutes, without much effort, and, what's no less important, free from mess. 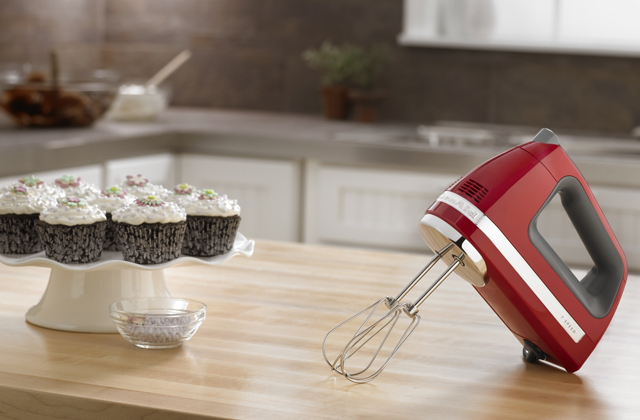 This appliance will immediately become your favorite and take a decent place in your kitchen arsenal. Flat plates allow you to use this sandwich maker as a contact press grill. 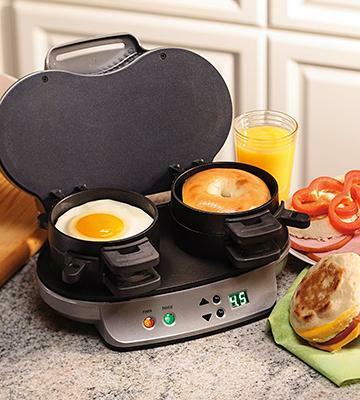 If you wish you can even fry eggs or pizza on it. Uncomfortable handles on removable panels. Thanks to its versatility and compact dimensions, this 3-in-1 sandwich maker will become an awesome acquisition for any kitchen. Likewise, you can easily take it to the country house and use its great options to develop your cooking skills. 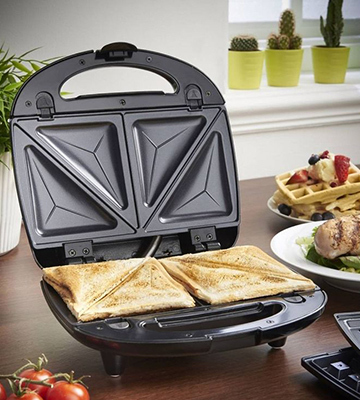 George Foreman GRP4842MB will not only make delicious Panini but also offer the whole range of cooking options. This high-end grill sandwich maker delivers a wide selection of ingredients for your favorite sandwiches. You can use almost any type of bread you like. However, most users prefer baguette, ciabatta, and michetta. Mind that all ingredients for your grilled sandwich should be ready-to-eat. At the same time, with this top-rated sandwich maker, you can also cook a number of ingredients for your yummy sandwiches or burgers. You can roast crispy bacon, sausages, chicken or succulent cutlets and grill veggies for unmatched recipes. 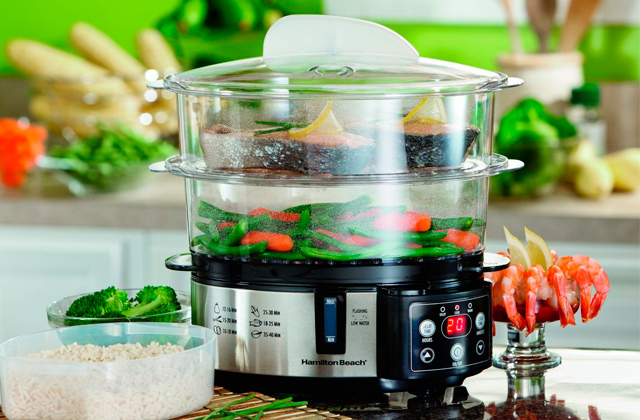 The versatility of plate system allows you to create a variety of delicious meals in no time. 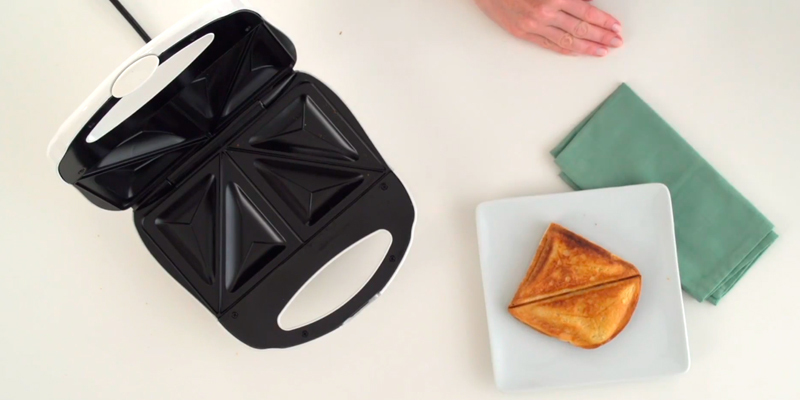 This state-of-the-art sandwich maker is a three-in-one appliance. It will change the way you grill, cook and bake. Two sets of removable plates give you an opportunity to make an unforgettable and versatile breakfast for the whole family - from nutritious grilled sandwiches for adults to crispy sweet waffles for kids. 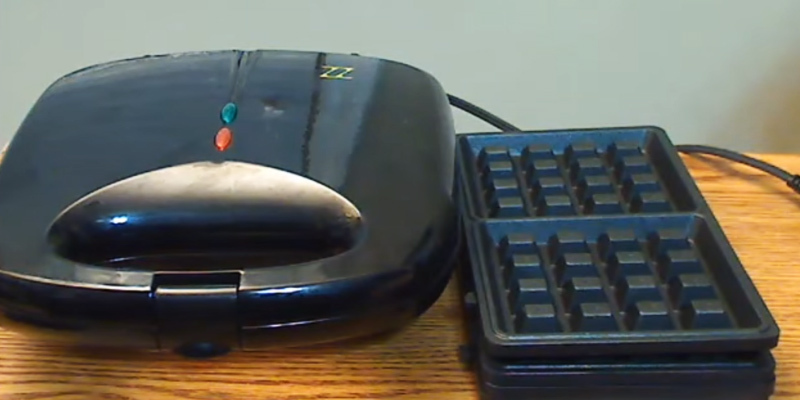 George Foreman sandwich maker features quite simple and convenient controls. 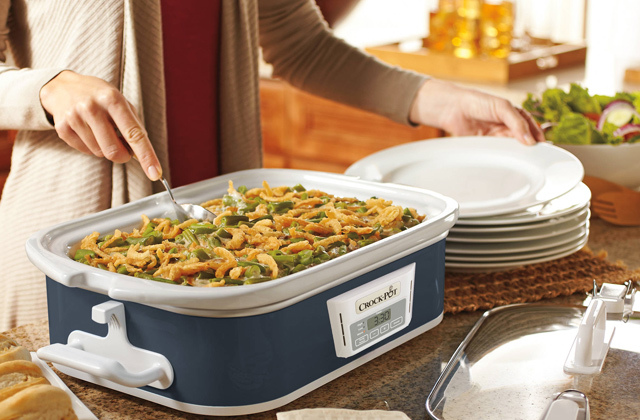 A built-in digital heating system with 325-450°F temperature range ensures quick and precise cooking. 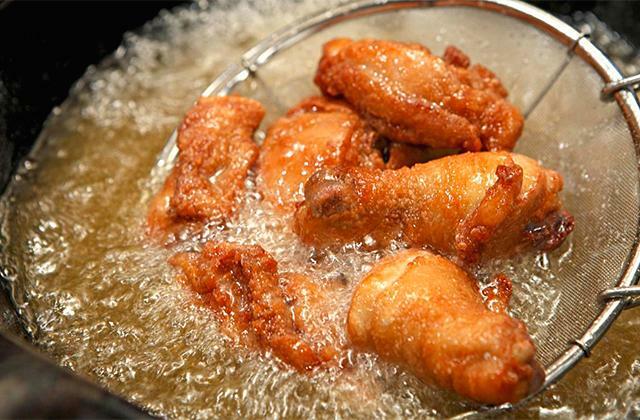 And a special searing burst function will raise the plates temperature up to 500°F for 90 seconds to get a crispy crust for the restaurant-quality dishes at home. 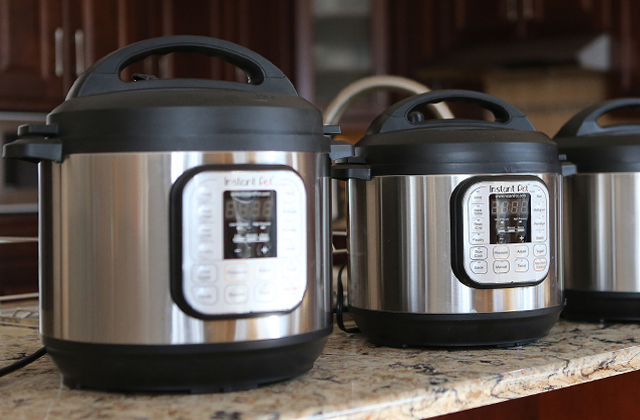 1-20 minutes auto beep timer will provide extra convenience to the cooking process. When using the unit to grill the steaks, sausages or rissoles the unique sloped lower surface removes excessive fat and liquid to the drip tray. 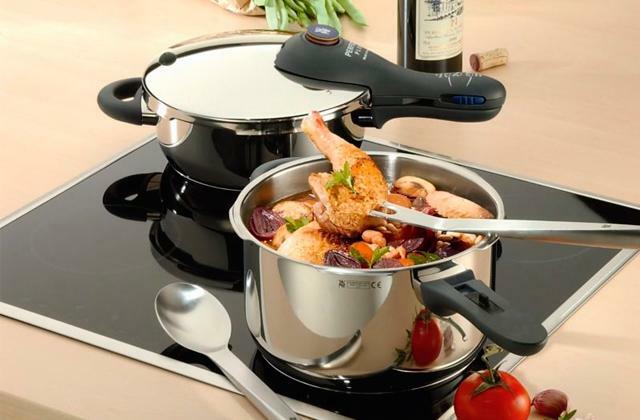 It is a useful feature allowing you to cook a healthy and nutritious food with improved taste. Floating hinges make it possible to roast thick cuts of meat, vegetables, and multi-layer sandwiches. Pretty large dimensions and 15.5-pound weight of this multifunctional grill sandwich machine make it more suitable for a stationary use. A Black or Platinum design will fit the interior of any kitchen. 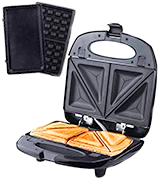 Highly durable and solid George Foreman grill sandwich maker will satisfy even the most demanding housewife. 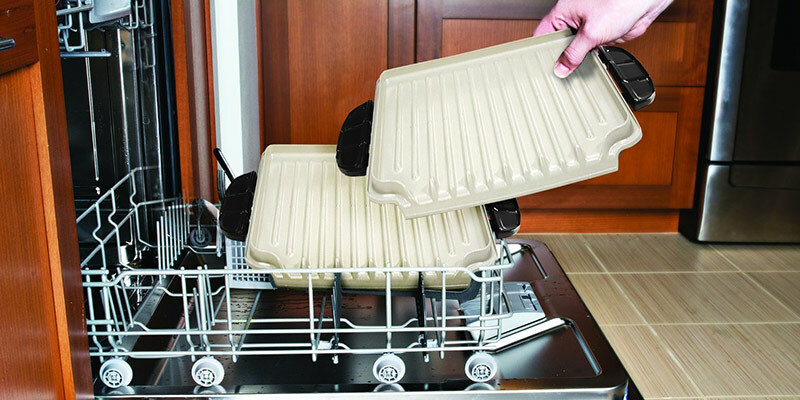 Advanced ceramic coating of grill plates and non-stick waffle plates are dishwasher safe and easy to clean. If you decided to sit on the terrace with a glass of lemonade and a burger and chat with your friends this user-friendly high-performance sandwich maker will be just the right choice! George Foreman GRP4842MB: 14.1 in. Tefal SW6100 EZ: 12.7 in. Hamilton Beach 25490A: 8 in. For a large family you'd probably want a bigger size but for a couple this is perfect. The ability to remove the plates is great. A digital temperature read out makes for more precise temperature control, and they added sear setting. Compared to the teflon/non-stick surface on the accessories and my other grills, these are wonderful. 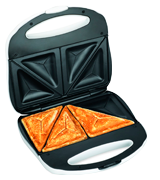 With a top-notch T-fal SW6100 sandwich maker you can cook 4 triangle toastie sandwiches at a time. It is compatible with sliced sandwich bread or any other square-cut bread. Though the unit does not allow making multi-layer sandwiches, if you are a fan of delicious pocket sandwiches with cheese or grilled ham, salad leaves and sliced veggies you will certainly appreciate this neat-looking sandwich maker. This handy and slim toasted sandwich maker is so easy to use that any member of your family can cook a favorite sandwich with no efforts. The indicator lights will advise when the unit is on and plates are heated for cooking. Just mind the hot working surfaces and use handles to hold it and move it from one location to another. 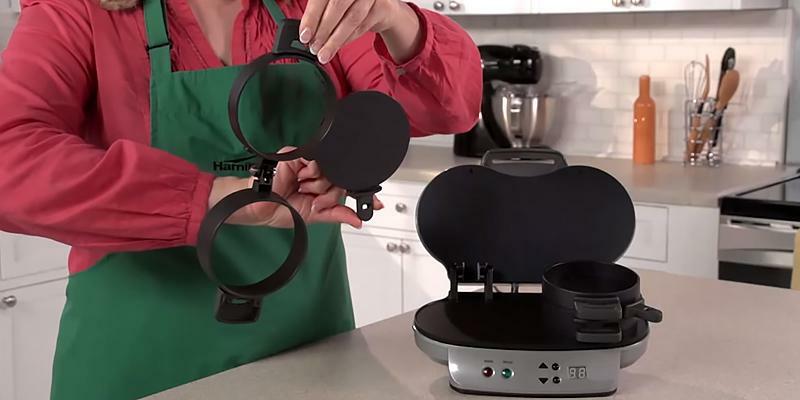 Aside from sandwich plates, the unit comes with a set of waffle plates to make fantastic crispy waffles for breakfast, dessert or snack time. Serve it with caramel, Mapel syrup, jam, wiped cream or any other sweet topping and your kids will twist down such amazing breakfast. And for your ultimate convenience T-fal sandwich maker features special storage to wind the cord when the unit is not used. 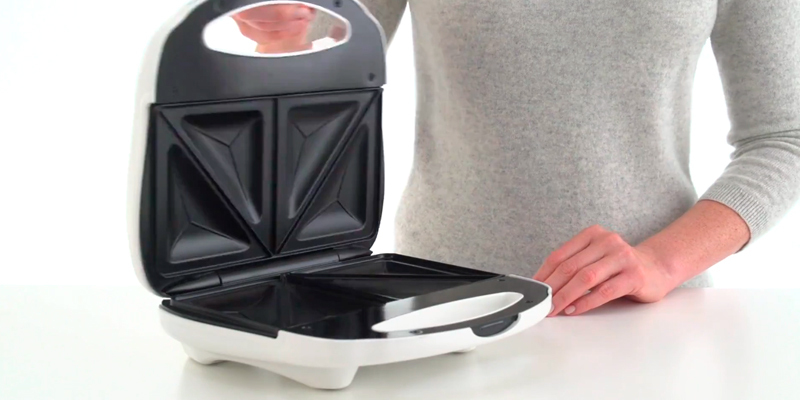 T-fal sandwich maker is a compact and pretty lightweight unit. Hence, you can store it in a cupboard and easily take it out when you want to enjoy a hot homemade sandwich or treat your kids with tasty waffles for dessert. Thanks to a vertical storage option, this sandwich maker will not take much space and become an excellent solution even for the smallest kitchen. 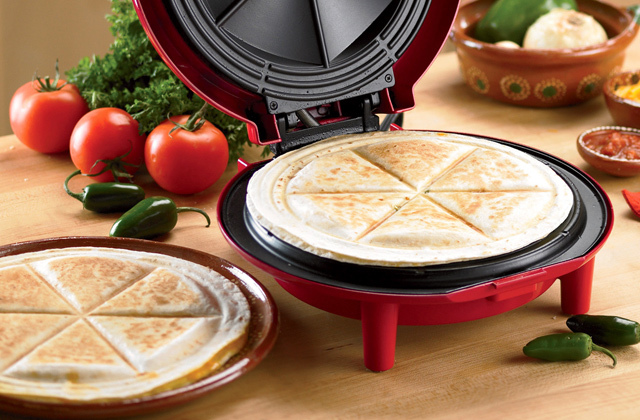 And its removable non-stick plates are dishwasher safe for easy cleaning. 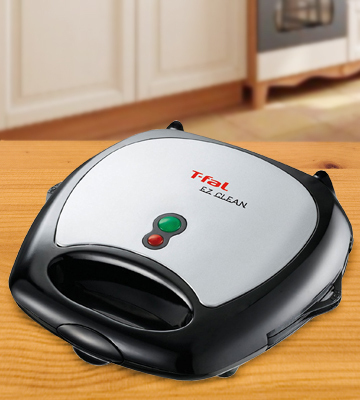 T-fal SW6100 is a high-quality functional sandwich maker perfect for domestic use. It will bring versatility to your breakfast menu! George Foreman GRP4842MB: 17.5 lbs. 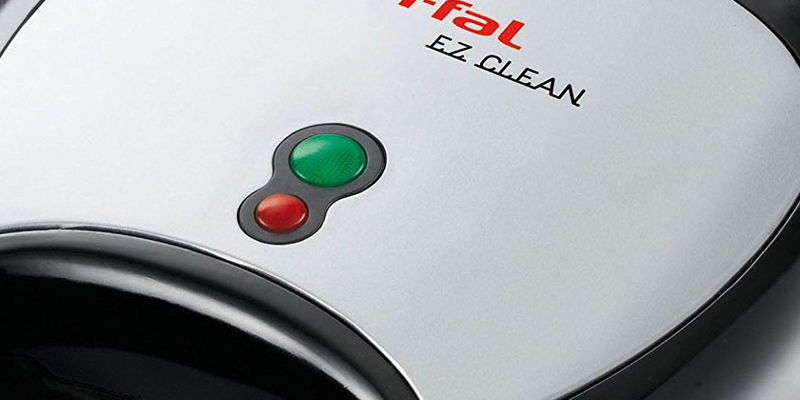 Tefal SW6100 EZ: 4.5 lbs. Hamilton Beach 25490A: 4.8 lbs. Removable plates make for an incredibly easy clean-up!! Would definitely recommend and buy again without a second thought! It is quick, easy to clean, compact but does the job. 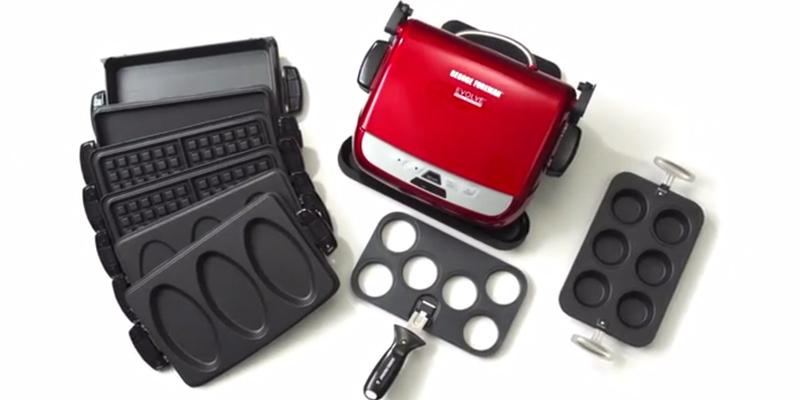 If you like to make waffles daily or on the weekend this is for you. The plates snap out with a push of a button. The nice thing about this waffle maker, besides cleaning easily, is that the handle does not get hot and the trays are actually non-stick. Hamilton Beach 25490A is a real catch for passionate sandwich admirers. This prime-quality sandwich maker is designed for making 1 or 2 hot and toasty sandwiches at a time. If you are a fan of a healthy lifestyle while your spouse prefers a substantial protein-packed breakfast this amazing sandwich maker can make two individually customized sandwiches to your preferences. Add any fresh or precooked ingredients and even eggs to get a tasty multilayer sandwich for a consistent home breakfast or on-the-go bite. Or put pancakes instead of bread and pour syrup to a finished sandwich to make a fancy breakfast for your little one. On one hand, a round form may seem a kind of limitation. But on the other hand, this tiny inconvenience is rewarded by an opportunity to experiment with foods and flavors every day! This functional dual sandwich maker is extremely handy and easy to use. It features very simple controls. 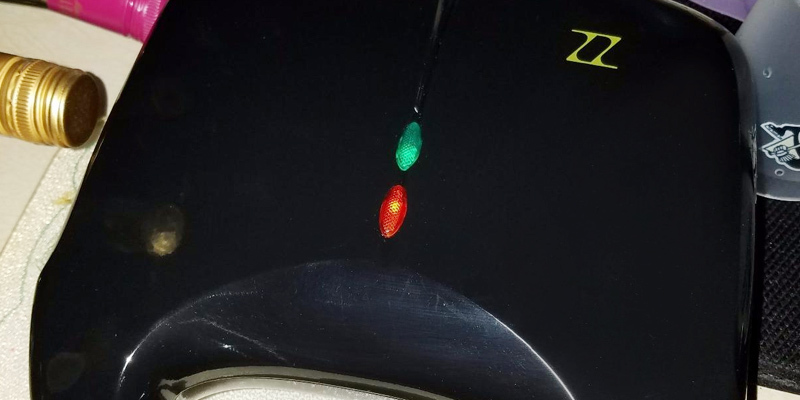 One of the light indicators shows when the unit is on while another will light when the plates are heated to the necessary temperature. A countdown timer will make an audible beep to let you know when your perfectly assembled sandwiches are ready to eat. A distinctive feature of this model is sliding cooking plates to get a more nutritious sandwich with fried eggs without efforts. 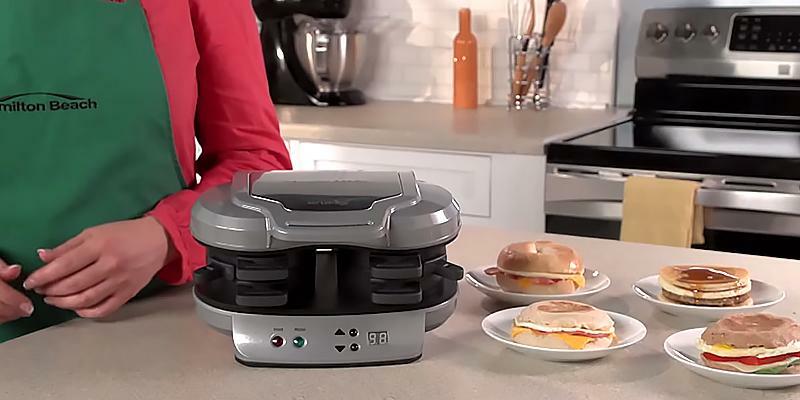 This fantastic sandwich maker is a perfect breakfast solution for anyone. You can create your own recipes and customize every sandwich to the person, child or even to your mood. 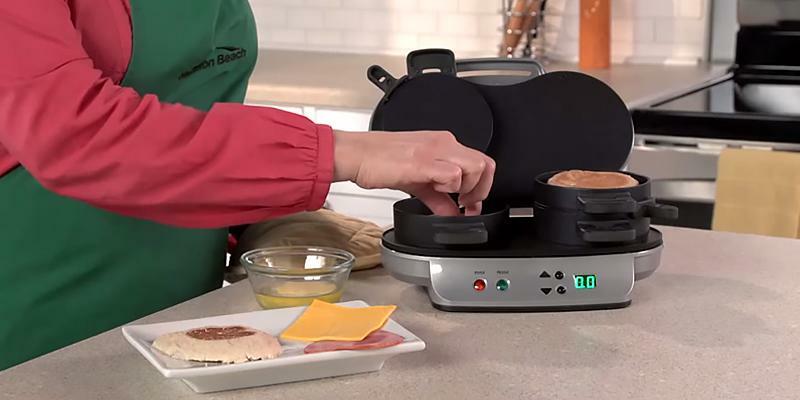 High-quality Hamilton Beach sandwich maker is a standard lightweight unit. You can easily store it on a kitchen shelf or place it on the countertop for continuous access in case your family members are sandwich lovers. If you've ever made sandwiches at home you know that it is a multi-step process resulting in a number of pans to clean. 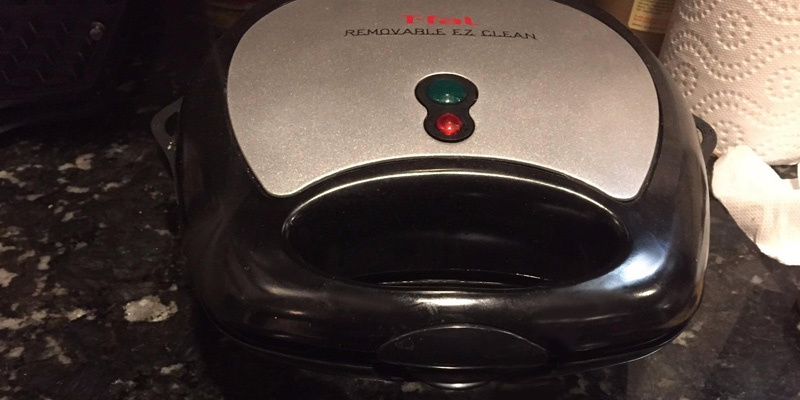 Thanks to the elementary cleanup, this handy sandwich maker will become a favorite kitchen appliance of any housewife. A removable ring assembly is dishwasher safe and non-stick working surfaces are easily wiped. 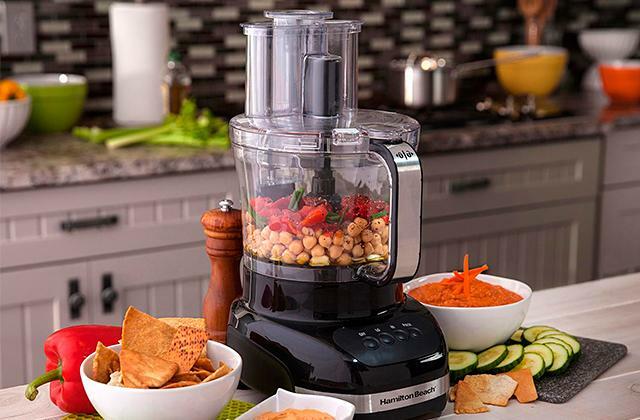 It is noteworthy that you may order a Frustration-Free packaging for a safe transportation of your best Hamilton Beach smoothie maker. George Foreman GRP4842MB: 16.2 in. Tefal SW6100 EZ: 11.9 in. Hamilton Beach 25490A: 10.5 in. The maker is very compact for easy storage. I am very pleased with this product. 4.5 minutes seems like the magic number. Yes, the magic number to fix a egg, ham and cheese sandwich. This makes breakfast sandwiches just like McD's, only you control the quality of the ingredients. I cook my eggs slowly and on a low temperature (they don't have that funky smell) and the sandwich maker cooks them quicker and at a higher temperature. Toasty hot pouches stuffed with cheesy and creamy fillings and exuding a combo of mouth-watering aromas. You’ll be hard-pressed to find anything better for breakfast, quick meal, or an evening snack. And all you need to make that appetizing delicacy is a simple sandwich maker. Looking for one? Consider this one from Proctor Silex. Though without the extra frills, it's as good of a sandwich maker as they can be. The Proctor Silex 25408Y is a compact model which gives you the advantage to store it upright in any cupboard or kitchen cabinet and place it on your counter without any inconvenience. The cooking surface, however, is rather accommodating and can fit 2 large slices of sandwich bread (or any square cut loaf) to make 4 triangle toasties. This means you are free to choose what type of bread to use and what meals to prepare: soft and puffy pouches with white bread if you are and eager sandwich lover or crispy browned snacks with wholemeal bread if you adhere to a healthy lifestyle. In terms of performance, the Proctor Silex 25408Y is no slouch either. It heats up almost in a blink of an eye and when it reaches the optimal heat, the indicator light turns green so you can see when it's time to cook. 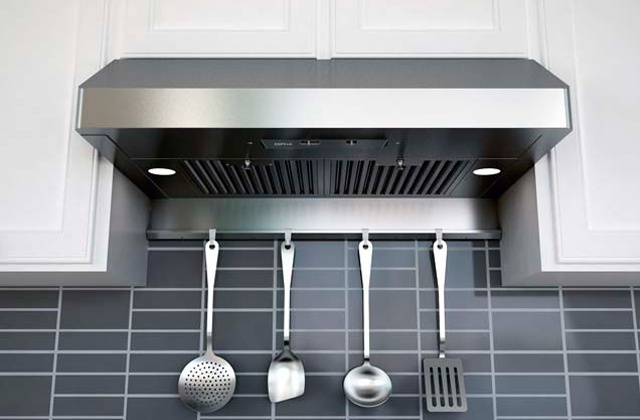 When in use, the unit handle remains cool to the touch and keeps hot cooking plates securely locked. What makes a really good toasty? It’s a perfect golden crust on the top, you're right. However, it's not the only thing. Another one is the filling, or, to be more precise, the amount of it. The more stuffing you put inside your sandwich, the more substantial your snack will be. Well, the problem is, not all sandwich makers are deep enough to hold thick stuffings and the melted ingredients in them often tend to "crawl out" of the plates, leaking on the counter, creating a mess. The Proctor Silex is not one of them. Unlike many counterparts, the Proctor Silex 25408Y has deep plates allowing you to put as much filling as you want and experiment with recipes, tastes and flavors. 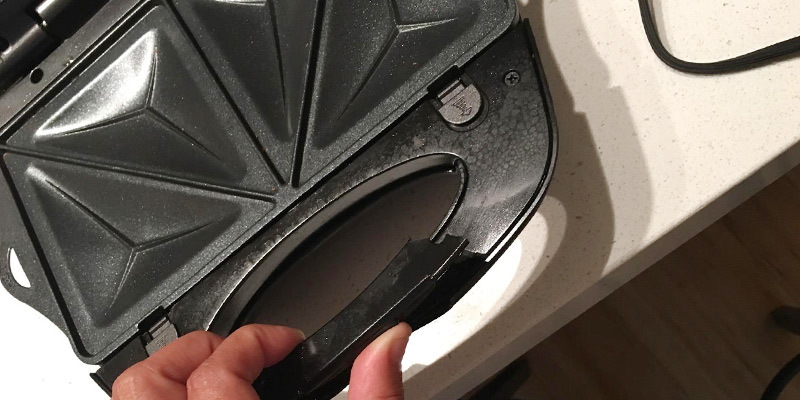 When pressing bread slices together, the appliance keeps the filling in place, making sure the edges of toasty triangles are perfectly sealed and no ingredient leaks out of them. Thanks to the high-quality non-stick coating, the food doesn't stick to the plates and it's easy to remove sandwiches after cooking. As a result, all your sandwiches will be perfectly cooked and browned to perfection. Though the plates are not removable, you’ll have no hassle with the cleanup. Simply let them cool down and wipe them clean with a damp cloth to get ready for the next use. 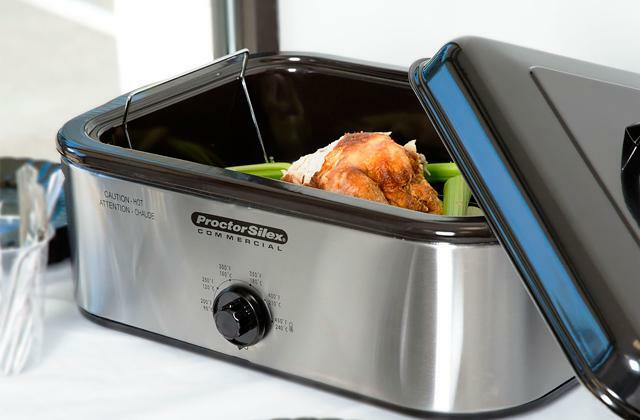 Something Proctor Silex offers in contrast to other manufacturers is the tested reliability of all of its products, and this sandwich maker is not an exception. Despite its fairly simple design, the unit functionality is thoroughly checked and monitored. Every feature is rigorously tested in the manufacturer engineering laboratory to ensure you’ll get a top-quality appliance that will meet your kitchen needs and faithfully serve you for years to come. All in all, the Proctor Silex sandwich maker is a reliable and functional basic model that will add to any kitchen arsenal and let you enjoy your favorite warm treats whenever you want. ZZ S61421 sandwich maker is a neat and compact unit offering a number of functions. It is an excellent solution if you do not want to spend much time for cooking but still want a nutritious and tasty breakfast or snack. 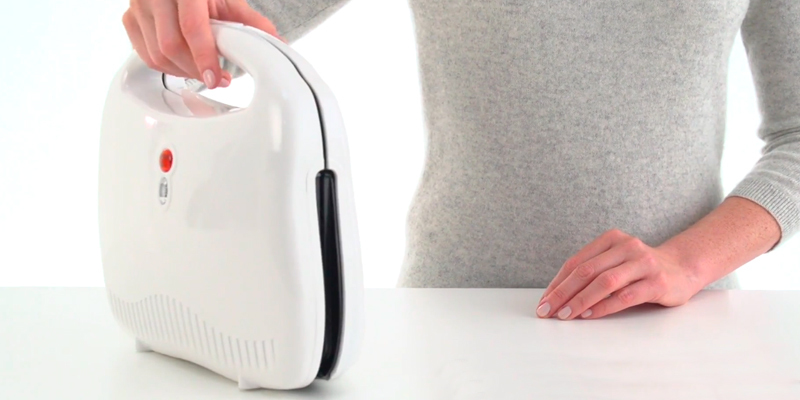 And this terrific sandwich maker will do it for you quickly and with no efforts. Just take some sandwich bread, grill cheese, ham and tomato slices and in minutes you will get an amazing yummy treat for a breakfast at home with a cup of fragrant coffee or for the on-the-go bite. This model of sandwich maker is fairly simple and easy to use. 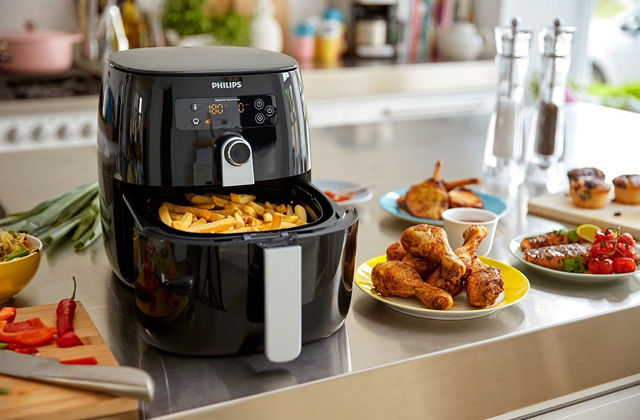 It features power on light indicator and a preheat light will show you that the unit is ready to cook. Three sets of detachable plates certainly contribute to the versatility of this notable kitchen appliance. Use sandwich plates to make delicious grilled pocket sandwiches or flat plates to fry eggs or omelet with vegetables for a healthy nutritious breakfast. And the third set of waffle plates will definitely delight families with kids. Your child will simply adore crispy sweet waffles with a variety of toppings. Additionally, a stay-cool handle will make the use of this sandwich maker safe and convenient. A neat and lightweight unit with an upright storage option will become a perfect kitchen assistant and a space saver. Wind the cord to the special storage on bottom and the unit will fit even in a small drawer. 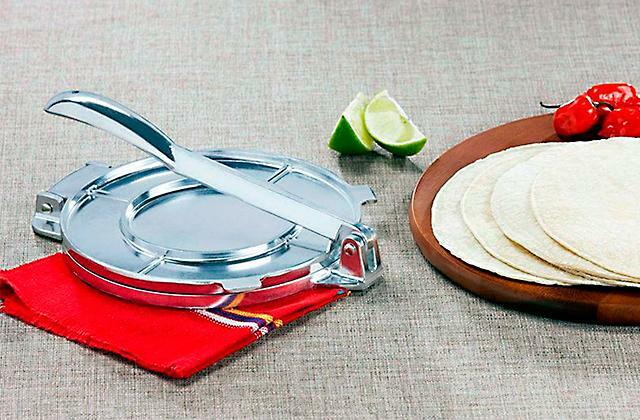 All detachable plates are stainless steel with a non-stick coating. They are safe for dishwasher or manual cleaning. This durable and practical sandwich maker is an exceptional solution for domestic use. It will cook versatile great-tasting treats for the whole family! The plates are thin and lightweight, and are easily attached and removed from the unit. The cooking surface of each plate is only about 8 1/2” x 5”. In my opinion this appliance is best suited for college students, singles, and possibly young couples. The plates can be easily popped out by pressing a button then hand washed with dish soap and water. The sandwich maker heats up quickly and is very easy to remove and clean the non-stick plates. When you discovered that your family can't do without a sandwich maker, first of all, you need to determine the Type and Number of Sandwiches your sandwich maker can cook at a time. There are dozens of different sandwich types but most sandwich makers prepare breakfast sandwiches, triangle sealed toastie sandwiches and well-known Panini. Breakfast sandwiches include bagels and English muffins filled with traditional breakfast ingredients such as sausages, ham, roasted bacon, fried eggs and salad leaves. Usually, such treats are very nutritious and convenient for people who don't have enough time for a consistent breakfast. You can easily eat such sandwich on your way to work or school. Basically, sandwich makers for this type of sandwiches are designed to prepare 1 or 2 sandwiches at a time. Sliced sandwich bread or any square cut bread will be the best choice for triangle toastie sandwiches or so-called pocket sandwiches. The sandwich maker will prepare 4 pocket sandwiches at a time sealing the ingredients between the slices of bread and giving your sandwich an appetizing crispy crust. Panini is one of the most popular sandwich types. It offers the biggest number of variations both in terms of bread and in terms of ingredients. Take your favorite ciabatta, baguette or michetta, fill it with any ingredients you like and make a delicious Panini sandwich with nice grill marks. 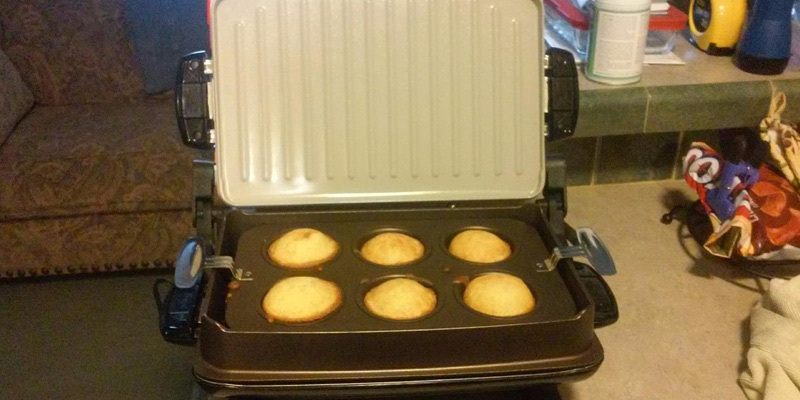 Typically, Panini grill sandwich makers cook one big Panini at a time. But if you wish, you can make several bite-size sandwiches. The next essential aspect to choose the best sandwich maker is the Controls and Usability of your unit. Mostly, sandwich makers are pretty simple and easy to use because they feature no complicated controls. Among convenient and useful options of this kitchen appliance, it is worth mentioning some, such as temperature control knob, on/heat light and sound indicators. The usability of sandwich makers directly depends on their versatility. 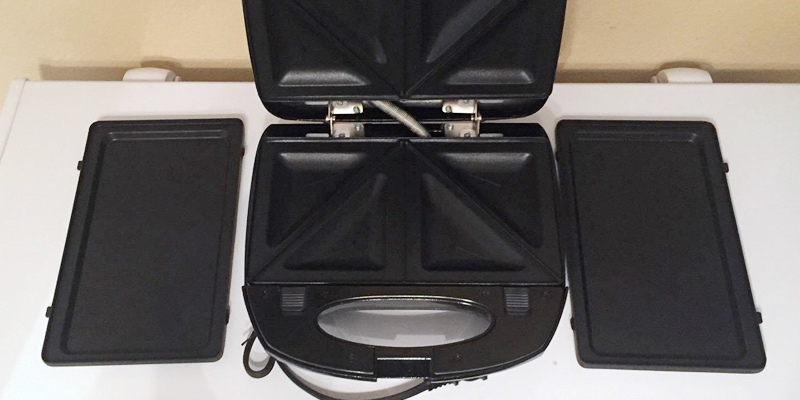 The majority of models come with several interchangeable plates and may be used either as a waffle maker or as a grill sandwich maker. Ribbed plates are better for steaks, roasted meat, and sandwiches, while flat plates are suitable for poultry and seafood. 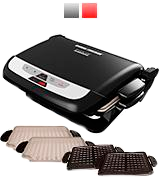 Open flat grill sandwich makers offer a variety of options for grilled food and the floating hinge system allows you to assemble a mouth-watering multi-layer sandwich from your favorite ingredients or roast thick chops of meat and vegetables. 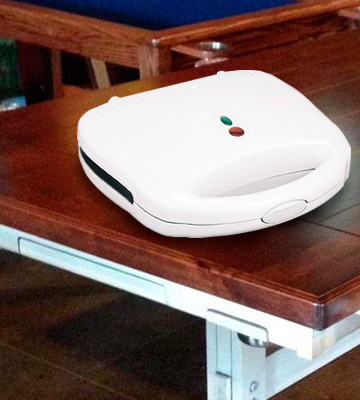 An adjustable slope will become a real benefit when you roast meat or bacon. It helps remove excessive fat and liquids to the drip trays that usually come with the unit set. Some sandwich makers feature a sliding plate to get a sandwich with a fried egg inside. 3. Panini (sandwich), Wikipedia. July 25, 2016. 4. Felicity Cloake How to Make the Perfect Grilled Cheese Sandwich, The Guardian. November 5, 2014. 5. Megan Gordon Hot and Melty: 10 Delicious Grilled Sandwich Recipes, Kitchn. March 11, 2013. 6. Eve O'Sallivan Best Toasted Sandwich Recipes, Smartcooky. February 23, 2015.